Israel this week adopted another law intended to further isolate ultra-Orthodox Jews and non-Jews from representation in the Knesset, Israel’s parliament, and Arabs reacted predictably with all-or-nothing rejection. Although Israel strives to oppress non-Jews, the real obstacle undermining Arab political empowerment has been Israel’s Arab leadership, which advocates against participation so they can complain of having no voice. The Arabs demand “all or nothing” and almost always send up with nothing. “Nothing” makes it easier for Arab leaders to make excuses and light the fuses of Arab emotions and anger. “Falling short” of taking everything, or the “all,” puts the burden on the Arabs. That’s why “nothing” is always the better choice for “Arab pride.” They can live with anger but they can’t live with compromise. It is a common Arab affliction that the Arabs can’t seem to overcome, but that the Israelis find so easy and convenient to exploit to achieve their goals. Israel has an unusual election system that it labels loosely as a “democracy.” It is based on “proportional representation,” which requires political parties to slate candidates on a “List.” To win one of the 120 Knesset seats, political parties recognized by Israel must receive a minimum percentage of the vote. 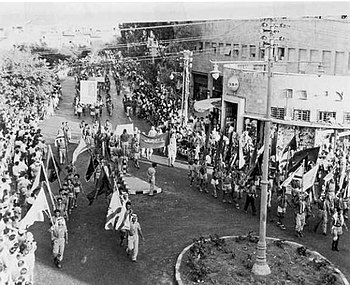 Israel has steadily increased that percentage threshold from 1 percent in 1948, to 1.5 percent in 1988. It went to 2 percent in 2003 and the new proposal would increase it to 3.25 percent. Once a party list surpasses the percentage threshold, the total percentage of the votes cast is used to determine how many candidates on each slate will take seats. In 2013, for example, 3,833,646 eligible Israelis cast votes for the Knesset elections. Any party list that received more than 2 percent of the vote was considered eligible to win seats. They then divided the total vote by the 120 Knesset seats and in the 2013 elections, every total of 29,366 votes resulted in one seat. The latest threshold increase to 3.25 percent was approved by a 67 to 0 vote, with 53 Knesset members boycotting the vote in protest. The threshold increase is a response to the growth of the non-Jewish population, which has increased at a faster pace than the Jewish population in Israel. In the 2013 Knesset elections, two political party lists identified with the Arab minority, Hadash and Balad, won 2.99 percent and 2.56 percent of the vote respectively winning four seats and three seats. The ultra-liberal Kadima List won 2.09 percent, winning two seats. Under the new law, all three parties would not qualify for any seats. Ironically, the Israeli system achieves its goals because most Arabs refuse to vote, as a part of the fatal “all or nothing” scenario. The Arab way to “cut off your nose to spite your face” satisfies the angry Arab mind. Total rejection is better than “compromise” which is viewed as a shameful disgrace. This Arab mindset was visible in Israel’s most recent municipal elections in which an Arab, Fuad Sliman (Suleiman) actually tried to win the office of Mayor of Jerusalem, the city Arabs claim is holy to their Muslim and Christian religions and sovereignty. Yet Arabs were unwilling to fight in a democratic system for Jerusalem. Worse, Sliman ran on Jewish Party lists, Meretz and Labor. Arab voters are told to boycott Israeli elections, and the majority do, resulting in their defeat. Jerusalem’s Jewish mayor is basically given a mandate to ignore the wishes of Arabs because they do not vote. There are more than eight million Arabs in Israel, more than 20 percent of the population. Experts predict that if the Arab vote came out in force, the way African Americans vote in American elections, for example, they could win up to 20 seats in the Knesset. From within, that 20-seat minority would give them the leverage to undermine Israeli fanatics, like Netanyahu’s often racist LYB Party, and form a coalition that could be more liberal and receptive to non-Jewish demands. A 20-seat Arab minority party could change laws in Israel and protect the rights of Christian and Muslim Israeli citizens who are denied equality in policy and government funding. They could change the face of Israel and make it a real democracy. But I think, maybe, the Arabs need to change their own face first if they ever plan to succeed at anything. One day, a smart and strategic Arab fed up with Arab-caused failures will work from within the system to change it. – Ray Hanania is an award wining columnist. 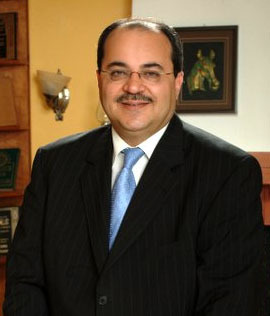 He is the managing editor of the Arab Daily News online at www.TheArabDailyNews.com. Who’s afraid of a raised Knesset threshold in Israel – and why?